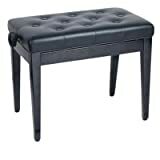 Piano bench with black velvet top Finish: matt rosewood. 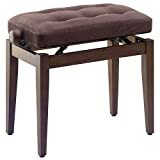 Piano bench with beige velvet top Finish: matt rosewood. 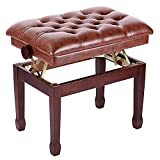 Piano bench with black leather top Finish: matt rosewood. 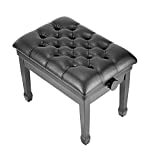 Piano bench with black velvet top Finish: matt white.